Now that my Ikea bag is filled with supplies from the Hollywood Farmers’ Market I can head home and work on our next menu for the Supper Club. 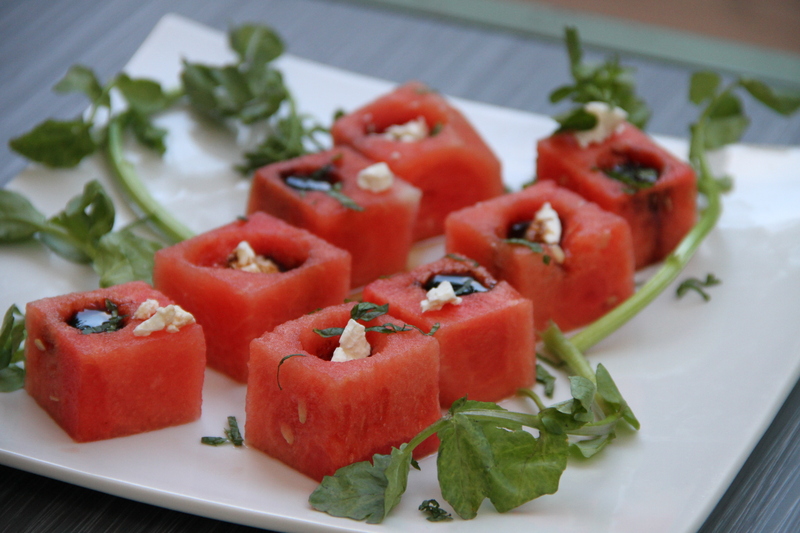 Tonight’s experiment will have watermelon squares with reduced balsamic and feta as a test run for an amuse bouche. I don’t think anyone will need a recipe for this one since the name just about says it all. Nahid and I love, love, love lamb. Alas, not too many of our friends do. Yet the one person we can always rely on say yes to the test is Rick. Nahid has known Rick since college. Both of them have traveled a great deal together. We also know this is a man who is always up for something new and will eat anything, including lamb. The three of us enjoyed the meal. The watermelon was a resounding hit. The lamb was fork tender and perfectly spiced. But it was unanimous that the lamb short ribs might be too lamb-y for the general public. So it looks like we’ll attempt this again with a leg of lamb. 1. Boil the wine with the sugar, peppercorns, cinnamon, cloves, cumin, coriander, and cardamom. 2. Simmer the marinade for 10 minutes, then add ginger, garlic, mint, orange peel, and soy sauce. 4. Trim as much fat as possible from the leg of lamb (or ask your butcher). 5. Place lamb in a large zipper bag or airtight container, add marinade, and refrigerate for up to 24 hours. 6. 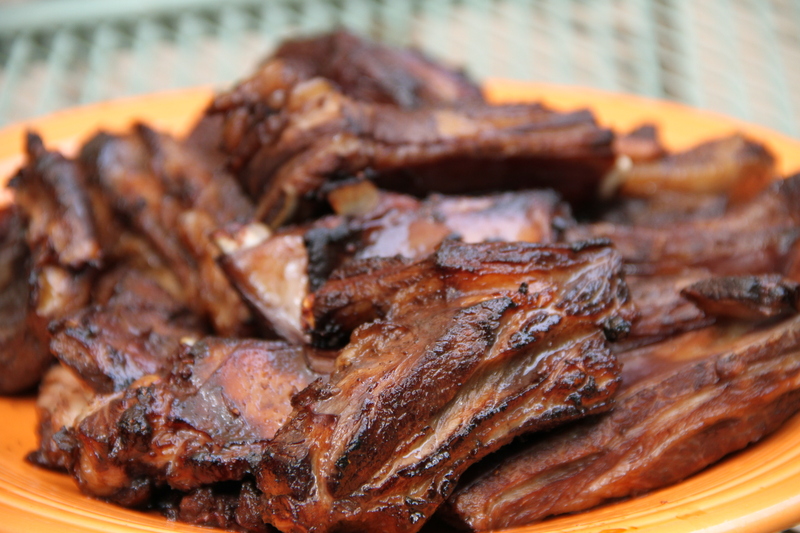 Remove lamb from marinade and dry with paper towels. Sprinkle salt and pepper on both sides. 7. Grill over medium heat, about 10-15 minutes per side, or until the internal temperature at the thickest part measures 125 F for medium rare. This marinade sounds divine. These are perfect winter holiday spices. By the way, I have found the lamb sold at the farmers market to be much less gamey in flavor. We have also just gotten into Bison, which is lean and leaves you with a lighter, cleaner feeling. I might try this marinade with Bison.